In this long awaited follow-up to the best-selling An Altar in the World, Barbara Brown Taylor explores 'the treasures of darkness' that the Bible speaks about. What can we learn about the ways of God when we cannot see the way ahead, are lost, alone, frightened, not in control or when the world around us seems to have descended into darkness? Contemporary culture throws many brightly lit distractions at us to divert our attention away from the dark, but Barbara Brown Taylor combines her great grace, sensitivity and insight as a writer and priest with the deep wisdom of the biblical and Christian traditions to discover how God is more present to our vulnerable, open night-time selves than to our pre-occupied daylight selves. 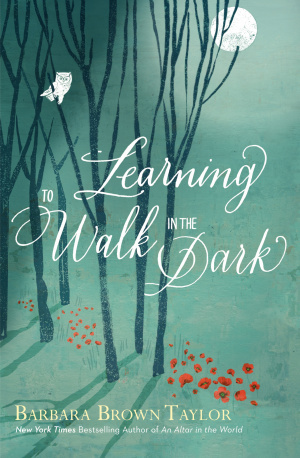 Learning to Walk in the Dark by Barbara Brown Taylor was published by Canterbury Press Norwich in June 2015 and is our 10749th best seller. The ISBN for Learning to Walk in the Dark is 9781848257757. Be the first to review Learning to Walk in the Dark! Got a question? No problem! Just click here to ask us about Learning to Walk in the Dark.